When it comes to the way your car handles on the road, nothing is more important than the suspension system. A good suspension will minimize bumps and vibrations for a smoother ride. And, it will keep the wheels properly aligned for better handling and performance. Older vehicles may have a leaf spring system while some modern and customized cars might use an air-ride suspension system. Most vehicles, however, will use coil springs to provide support and flexible tension that keep the car riding at a consistent level despite any bumps in the road. Shock absorbers provide some structural support of the wheels and work in conjunction with the springs to minimize shocks and vibrations while you are driving. Many people mistakenly interchange shocks and struts, but they are actually two different types of suspension components. Most vehicles will use one or the other in the suspension system, though some may use shocks in the front and struts in the rear for specific performance and handling capabilities. Struts provide additional structural support, but essentially perform the same basic functions of shock absorbers. No matter whether you have shocks, struts or any kind of spring system in your suspension, LightHouse Automotive in Colorado Springs has all your car alignment and suspension repair/maintenance needs covered. Like all automotive components, shocks, struts and springs will wear out over time and will need to be replaced periodically for proper performance. It’s important to understand the signs that your vehicle may have suspension problems. If you think you might have a suspension issue or just want to bring it in for a routine wheel alignment test and suspension inspection, call LightHouse Automotive at (719) 465-0302. If you are driving along and it seems like you are feeling every single bump on the road—or the car just vibrates a lot—it could be any number of automotive issues including brakes, tires, wheel bearings or drive train. However, there’s a good chance it’s a suspension issue you’ll want to get checked out. If your tire treads are wearing out very unevenly, you might have a wheel alignment and/or suspension problem. Your brakes or differential(s) could also be to blame, so it’s worth getting looked at by a professional mechanic. If you are making turns and your car feels like it is really drifting or pulling to one side more than the other, the suspension could definitely be a cause. If you are able to look under your vehicle and you see that the shocks/struts look extra greasy and dirty, then there could be a hydraulic fluid leak or some other problem within the suspension system. Some amount of dirt and grease is always to be expected under the vehicle, but too much is definitely a sign of concern. If you are coming to a quick stop and the front end really dips or lurches forward, it’s a clear indicator that the front end suspension is getting weak. 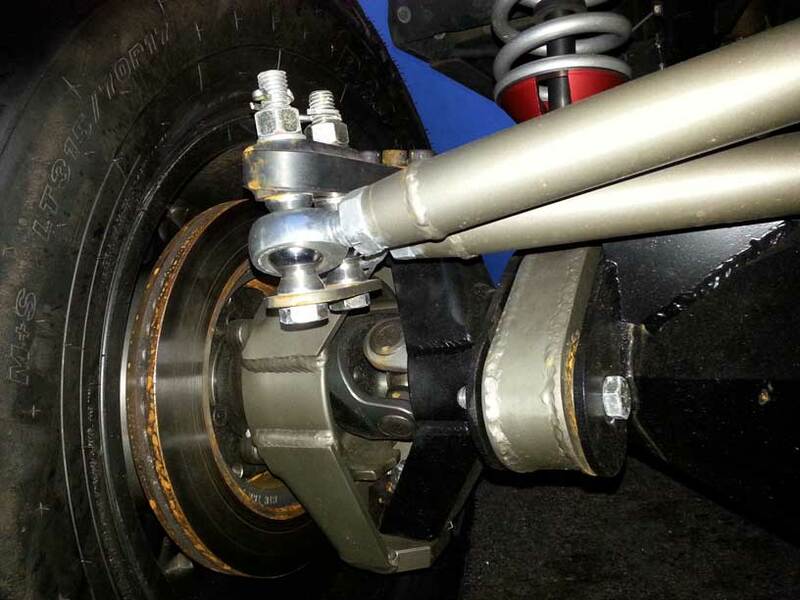 One easy way to check your front suspension at home is to use the “bounce test.” Use all your weight and push down on the front end of your car several times. Once you let go, watch how quickly the vehicle stops bouncing. If it stops quickly, then your suspension is likely in good shape. If it continues to bounce, then it’s a sign of weakness. 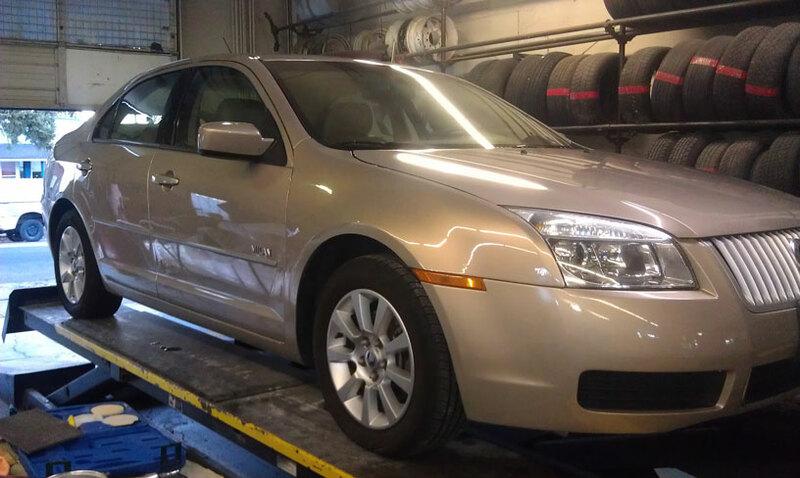 Count on the automotive repair experts at LightHouse Automotive to help with wheel alignment, suspension repair and suspension maintenance for your vehicle. 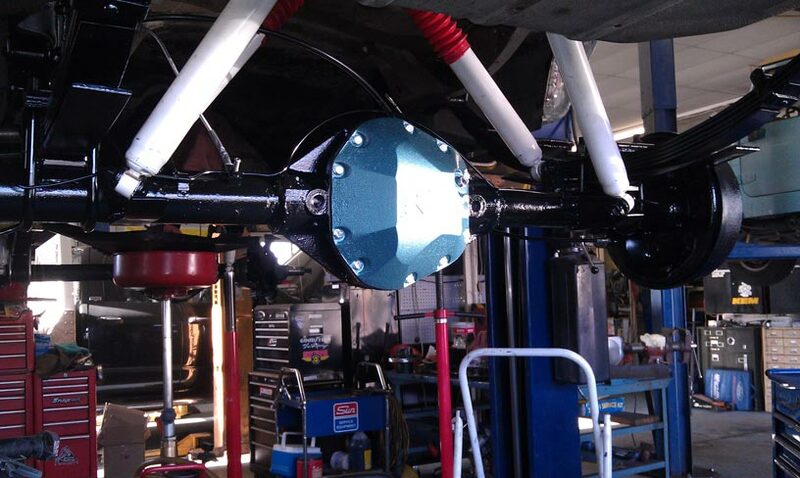 We also do custom suspension installation and repair for classic cars and performance vehicles. Call LightHouse Automotive today at (719) 465-0302 for all your suspension inspection, repair, installation and maintenance needs.